I have had a film branded Moleskine Journal in my possession for some time - I loved the journal, but not the advertisement embossed on the cover; I knew that I wanted to revamp this in some way but was not sure how. I finally decided on upcycling used stamps, and ordered some inexpensive ones off of ebay. It was fun selecting the stamps. I loved analyzing and admiring all of the different international postage stamps - I had favorites from all over but especially the UK, the Netherlands, Singapore, Malaysia, Australia and the Unites States, both vintage and current. I still have quite a bit left and look forward to the next art project. I LOVE the way this project turned out. (See the cover and the back of the journal above). 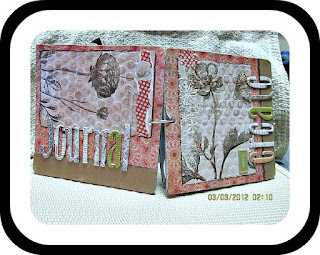 This was also so easy to make that even my 9 year old was able to make own journal with an old spiral notebook as pictured below. The steps for this project are very, very simple - just arrange and glue stamps on the cover and back of the journal (include the spine if using a non-spiral bound notebook). When the entire surface is covered, coat the final product with Mod Podge - I coated one side at a time to allow sufficient drying time. 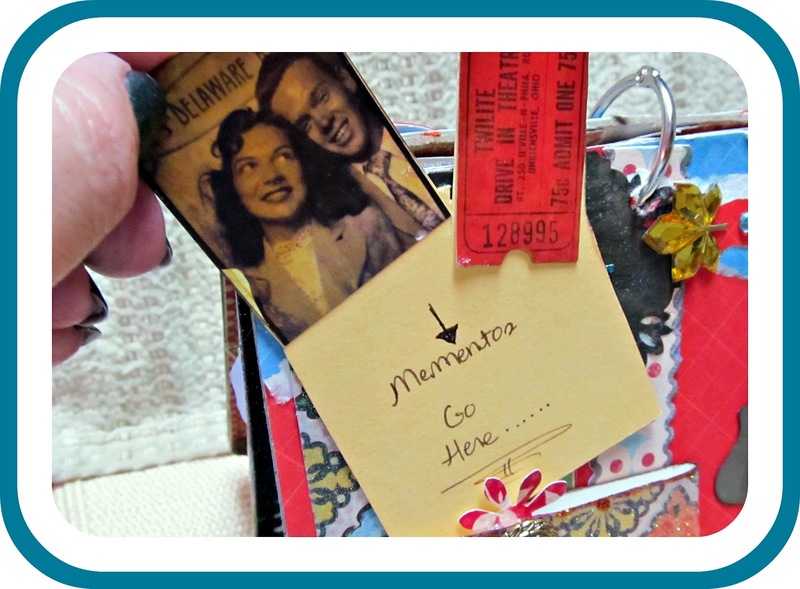 It is as easy as that - this would also be fun to try on a portfolio, small, hard suitcase, blank stretched canvas, memory box, etc. I cannot wait for our next project! When I make something, whether it be a piece of jewelry, a functional craft or a piece of artwork, I normally have an idea of what I want in my head. I do not plan any more than that. I wish I could sketch out what I want to make, but I find that for me, I tend to be more inspired by a create-as-you-go approach. 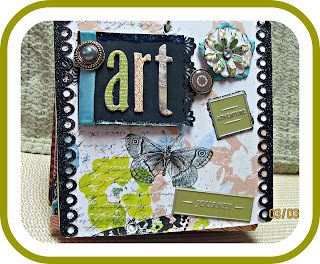 I made this journal using various techniques, mediums and styles. 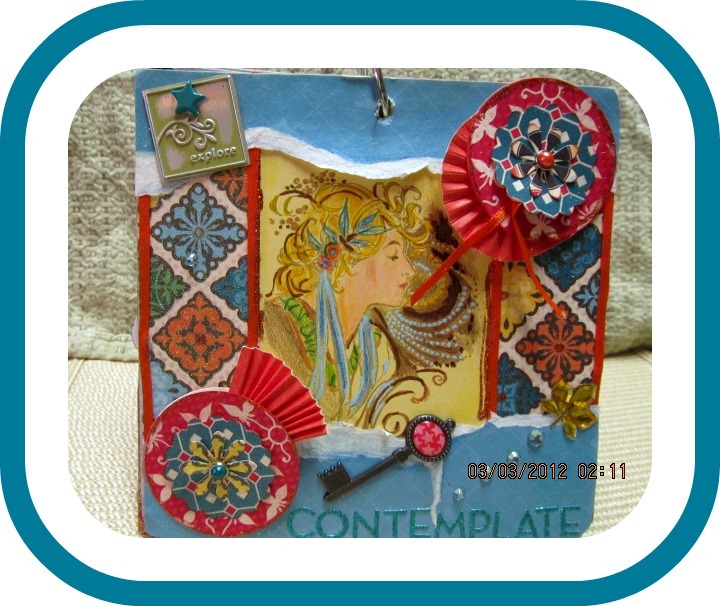 It was fun to make and the end result was rewarding. I can refer to this when hitting a creative block. I slightly enhanced the pictures using Picnik to more realistically reflect the colors and crispness of this piece. The photos I take tend to be a little dull and not as sharp as in the piece itself. Picnik solved this problem and presents a more accurate depiction of the finished piece. Unfortunately I still cannot figure out how to remove the time/date stamp so my apologies - I tend to find it somewhat distracting. Above is the front and back cover. The base was created using a small 6x6 scrap pad to lay the background, lightly stamped, embossed paper in a ecru and sienna natural print and Kraft paper at the edges. 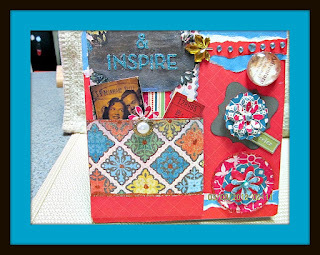 Embellishments added were torn/distressed paper, chipboard letters, metal embellishments and terra cotta colored glitter. When finished I applied a light layer of Modge Podge for added durability. 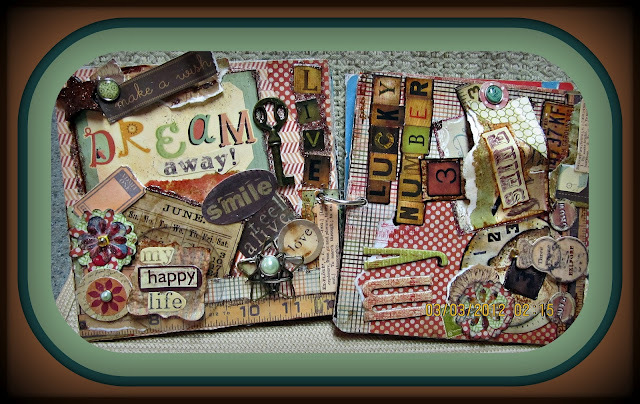 The 2nd and third pages were created using rusing a stamp (colored with gel pens, marker and colored pencil), handmade rosettes, an old fashioned brass key, glass cabochon with motivational saying, rhinestones, glitter lettering and a pearl button. I cute little pocket was added to place mementos, which were displaced with vintage inspired stickers from Tim Holtz's Lost and Found collection. This was also lightly glazed over with Modge Podge. 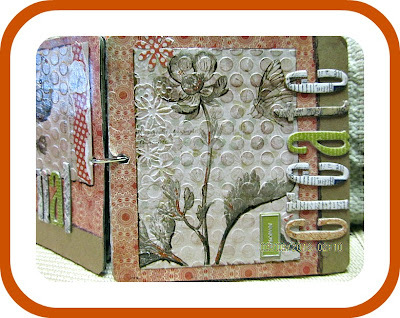 the base for these two pages were created using a decorative mariposa inspired paper base. This is Miss N's Favorite! Glitter die cute border, ribbon, enamel brads, a brass and pearl button, metal tags, die cut journaling bits, and homemade rosettes were added for embellishments. A secret message is found inside the book (adorned with chipboard lettering , ribbon and a brass and pearl button and finished with scalloped edging). Since the paper was so ornate, I used less decorative accents and let the beauty of the paper be the focal point. 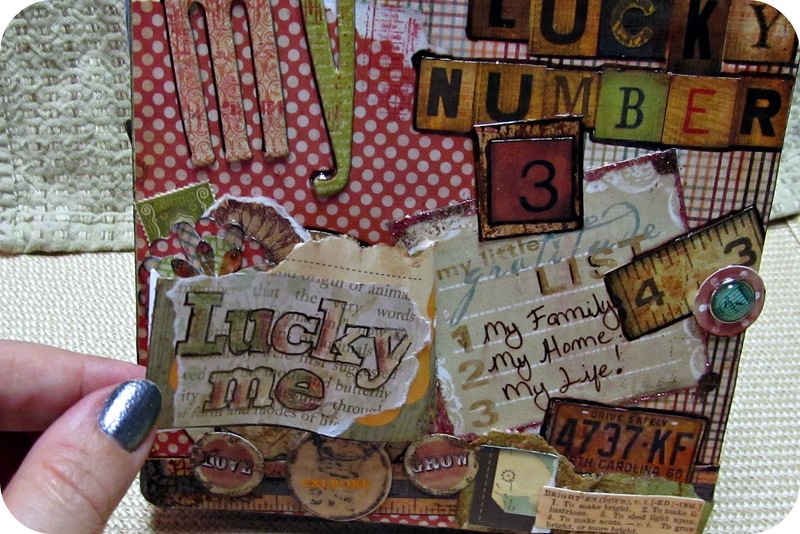 Vintage inspired and designed with a reminder of how much I love my life. I feel very blessed with everything I have been given and do not want to take it for granted. 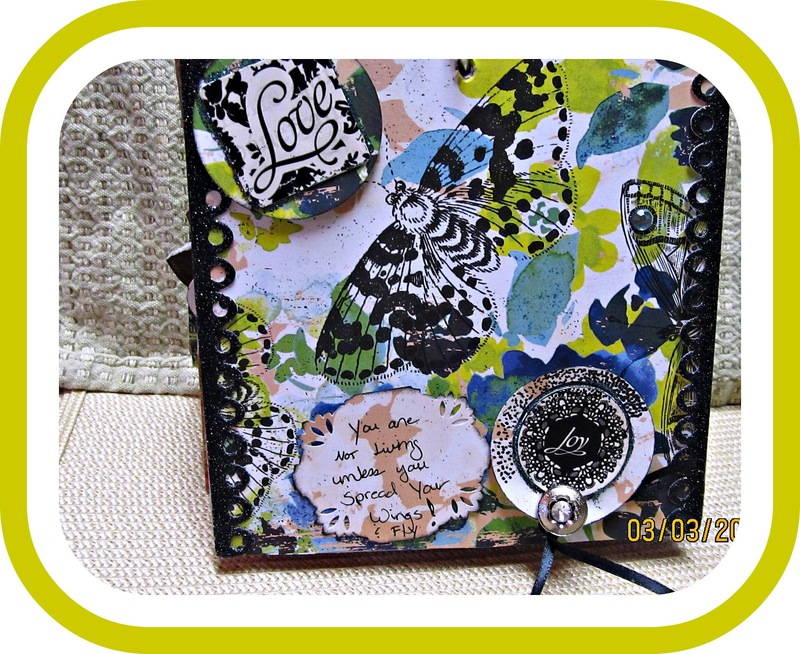 In addition to obvious Tim Holtz products used, I had a stash of embellishments that I added. 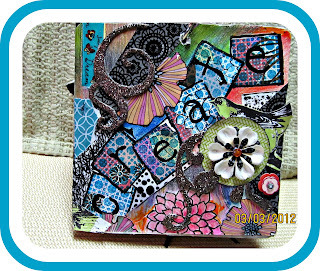 My favorite is the "create" section. This was definitely the most time consuming. 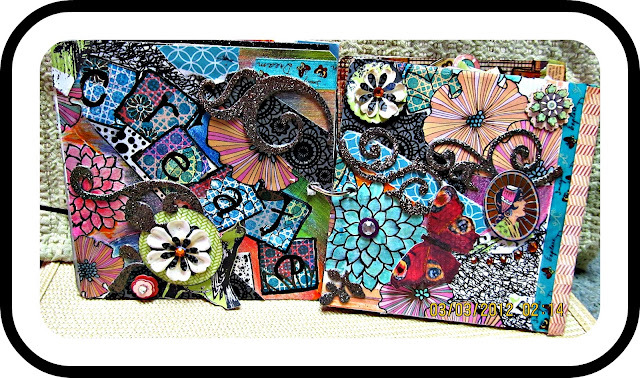 It was a tedious process of drawing, tracing, cutting, stamping, coloring, painting and pasting. I used virtually every medium on this piece. The finished pages are decorated with glitter flourishes, die cut and hand made rosettes, die cut shapes, ribbon, button and rhinestones. This is the most "me" out of all the pages - it has a ton of color and a lot of bling. Tonight I put in my 2nd order with Blitsy, an online discount sales site. Each sale runs for a week or less. 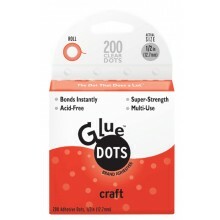 Today I ordered Glue Dots, which I seem to go through at lightening speed. 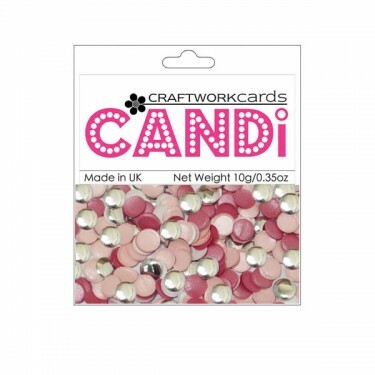 at $2.75, this is a great price, even with adding on shipping costs. If you have not signed up for Blitsy and are an artist / crafter, I really recommend doing so. Right now they are also having a random drawing on their facebook page for fans - simply sign up before the 3/9/12 deadline. Sign up for Blitsy HERE using my referral link if interested. Once you do that (or if you are already a member), then go over to their facebook page and "like" to enter the Facebook contest. First off, I hope that all of my readers and their friends and family are safe. The recent tornado blitz is terrifying; I am very saddened by the enormity of this storm and empathize with the families that lost their homes and all their possessions. I am devastated for those that lost loved ones. I pray that the worst is over. In 1 1/2 weeks it will be one year since the tornados were in Raleigh (April 16th). We will be having a block party next month to commemorate the 1 year passing. We will be celebrating our good fortune if we did not suffer any losses, what was rebuilt for those not so lucky and the friendships that were made. People often don't get to know their neighbors these days and this event definitely pulled ours together. Work is crazy again and the kids are now in three activities (scouts, dance and soccer) so I have been pulled in a million different directions. I will be catching up on several bloggy things over the weekend. Have a great weekend all and stay tuned for winners!